Put vodka into freezer several hours before serving. Mix lemon juice and sugar until well combined. Pour vodka, lemon juice and sugar and club soda into a glass. The glass should have a wide-enough opening to fit half a lemon when pressed into the top of the glass. 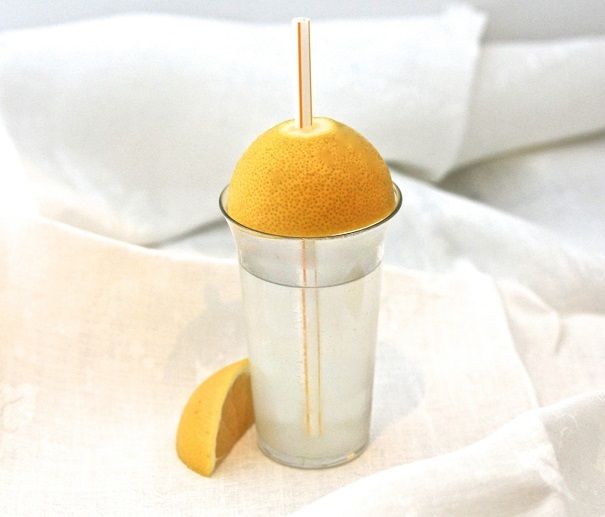 Poke a straw through the top of the lemon half and press lemon lightly on top of glass.